Maxis revealed earlier this year that the upcoming SimCity game will require an allways-on Internet connection, but now new details arrive about how restrictive this requirement will be. In a Q&A session about the game on Reddit last Sunday, SimCity developers revealed that players who lose their connection mid-game will only be allowed "to play for as long as we can preserve your game state", a period that will "likely be minutes", and saving the game will be impossible without an Internet connection. Maxis responded that players who lose their connection mid-game will be allowed “to play for as long as we can preserve your game state” a period that will “likely be minutes.” Put another way, if a user is playing SimCity using an unstable web connection, they are at risk from losing progress in the game simply because their connection dropped out. 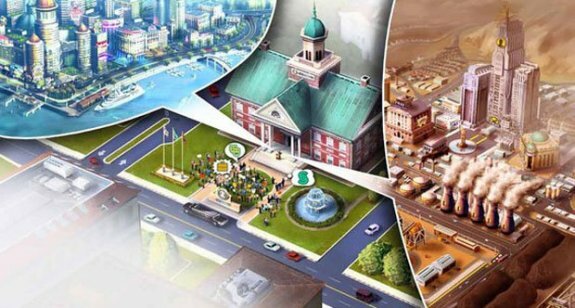 In March, Maxis’ Stone Librande said that SimCity needed a constant Internet connection due to multiplayer features of the game, in particular the global Sim economy that reflects every player’s city. The rigid nature of the persistent connection, to the extent that the game can’t be saved if the player loses their Internet connection, suggests that EA is also trying to prevent SimCity from being pirated. SimCity is expected to launch in March 2013.